Back in the days before the Iron Curtain fell, most Western goods were prohibitively expensive in the Czech Republic, including Western luxury goods such as blue jeans and popular soda drinks, such as Coca-Cola and Pepsi. So what was the solution for some enterprising Easterners? Create our own version! Though many can dispute its appeal and taste, Kofola continues to be a beloved, nostalgic beverage among many who remember the days before Prague resembled an Americanized Disney vacationland. Although it resembles a stout beer, Kofola is non-alcoholic, and originates from the second half of the 20th Century when Czechoslovakia was a Soviet satellite state. Created as an alternative to Coca-Cola and Pepsi at a time when Western goods were prohibitively expensive, the drink has since gone on to become a national favourite in the now-independent countries of Slovakia and the Czech Republic. 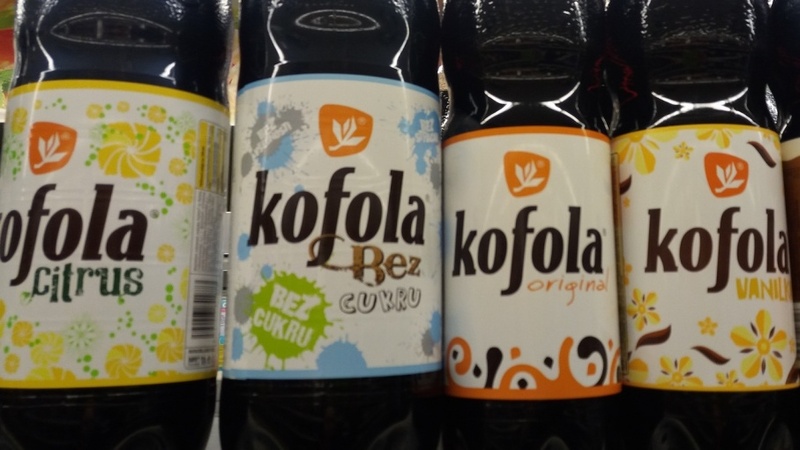 Kofola was by no means the only alternative to American cola that proliferated behind the Iron Curtain. In East Germany, consumers could choose from brands such as Vita Cola, Quick Cola, Kaffee Cola and at least 14 others. The Polish People’s Republic had their own variant, Polo Cockta, as did the USSR, with a drink called Baikal. Yugoslavia’s Cockta, which is still available today, is flavoured with caramel and rose hip.